Nice detail on the bird, but IMO the white line is distracting. Looks like he's a little apprehensive about sitting for this well done portrait. 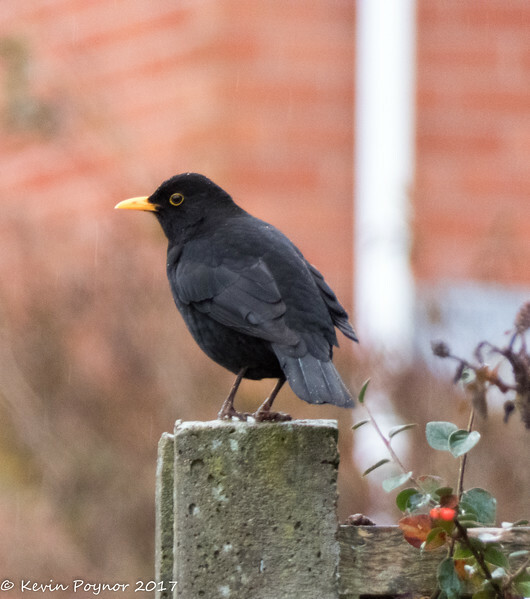 Your Blackbird looks different from ours--like the yellow bill and eye ring. In the last two photos of the BB he has had his back turned to you. Superb capture of this Black Bird.